THEIR Royal Highnesses visit Boera Village in Central province in a rousing welcome yesterday. The Village Elders received The Royal Highness in a traditional way of showing the “red carpet” and a traditional war dance was performed to show that they are the only village in a modern society who can still maintain and practice a traditional way of life style. More than 500 Primary school students from the villages lined the road side holding small PNG and United Kingdom flags, waving to the Royals Highness as they drove to the village. Their Royal Highnesses than were escorted to the Boera Aid Post, where they unveil a plaque commemorating the Royal Visit to the Aid Post. Their Royal Highnesses than left the Aid Post and were led by the Elders of six villages to the crafts tent. Their Royal Highnesses walked from the Aid Post to the crafts tent, stopping en route to view children singing traditional songs and dances on woven mats. Their Royal Highnesses was than escorted by former MP for Kairuku Hiri Sir Moi Avei to inspect examples of traditional arts and skills in the crafts tent, including painting, weaving, pottery, fishing and canoe building. There were two special occasions where their Royal Highnesses visited. They saw a 10 metre Lagatoi and the traditional clay pots that were used in the Hiri trade. 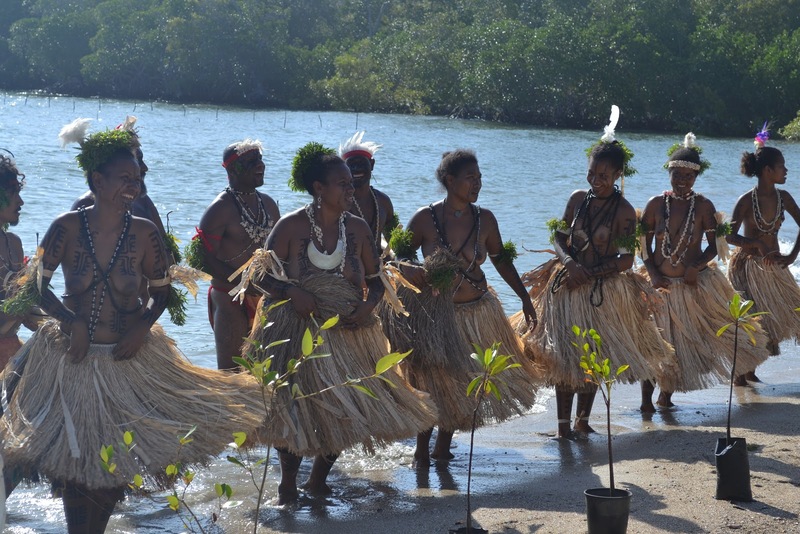 They then met villagers and World Wide Fund (WWF) workers involved in replanting coastal mangroves. The Royal Highness, the Prince of Wales breaking the ground with a shovel to indicate the replanting of the coastal mangroves at the beach. Their Royal Highnesses met personnel from the PNG Defence Force Maritime Operations Element involved in enforcing fisheries protection laws, while a PNGDF vessel was moored in sight off the coast. Mr Daro Avei, a local Boera villager said the people of Boera were fortunate to have the Royal Highness visit their village.